An incredible culinary capital, Rhode Island is home to numerous amazing bakeries. These spots don’t necessarily serve just sweet snacks—you’ll be sure to find delicious sandwiches and savory pastries as well. So, bring your appetite and start exploring your local bakeries! There’s only one place to go for Portuguese sweet bread, and that’s this Providence no-frills bakery. Also worth sampling from the menu: malassadas (a traditional sweet fried dough typical of the Azores islands) and the egg tarts. This small, urban bakery is inspired by Parisian boulangeries. They have a great selection of pastries from chocolate croissants to French macarons in a variety of different flavors. The coffee is reliably tasty and brings crowds nearly every morning—but don’t worry, their staff is fast and efficient. One look at the front counter of this bakery, covered in Danishes, croissants and pecan rolls, and your mouth will be watering. Make sure to try the olive bread, chocolate-almond croissants, and during the holiday season, some gingerbread stars. It’s also a good place for working if you don’t want to get distracted by the Internet, as the bakery doesn’t have Wi-Fi but does have a few cozy seats. This bakery opens bright and early at six in the morning every day of the week, offering delicious freshly-baked pastries and breads. When available, you must try the red velvet cupcake. They also have a bunch of great savory treats too—such as spinach pie, and chicken and escarole soup. 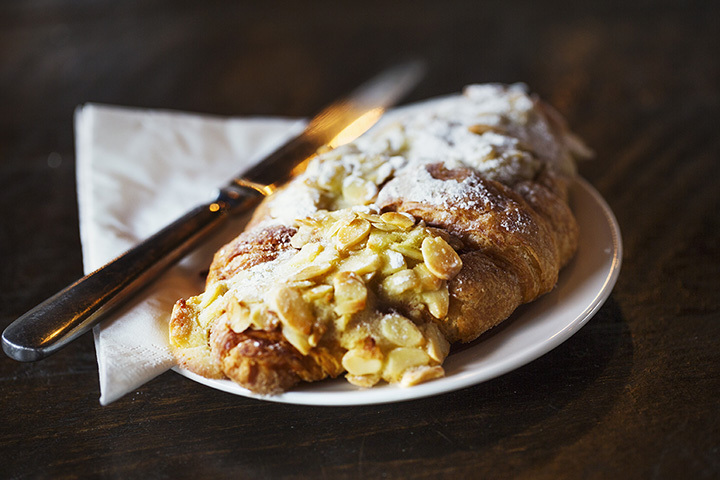 An Italian bakery located in the most Italian of neighborhoods—Federal Hill—Scialo Bros. Bakery has the best sfogliatelle, or as they’re more commonly known, lobster tails. Also delicious: the apricot almond tart cake and the raspberry Linzer torte. This European-style café is on the higher end of the bakery budget, but is well worth the price for an elegant morning or evening out. Sip on a delicious coffee in this tailored, cozy setting while sampling a delicious dessert. Regulars love the chocolate mousse cake. This modern Providence cake shop sells everything from delicious ganaches, to brownies, to pies, to wedding cakes. Whatever you’re searching for, Sin can help you out. Order some of the delicious tartlets, with flavors ranging from lemon to vanilla cream with fruit, as the perfect complement to a dessert table for your event. If you’re a sugar addict, you may want to stay away from DeLuise Bakery, because if you come here once you’ll want to return every day! The homemade donuts are a huge hit with regular clientele—make sure to try their chocolate frost donut. North Bakery is an offshoot of the extremely popular North Restaurant located right nearby. If you’re only going to get one thing, make sure to try their award-winning chocolate sea salt cookies, which you may also be able to find at a winter’s farmer’s market, too, but they are best right out of the oven. If you’re trying to escape the urban bakery scene, well, Wright’s Dairy Farm and bakery couldn’t be more contrary. Located in the middle of a dairy farm, you can know that all the creams and milks they serve are extremely fresh. The pastries are delicious—take your picking, you can’t go wrong!